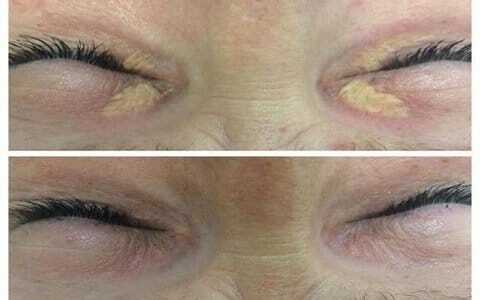 Xanthelasma is yellowish (pale yellow or beige) deposit of fat underneath the skin, which appears on the eyelid; it can be an indication of hypercholesterolemia, or the result of a genetic predisposition without relation to cholesterol problems. 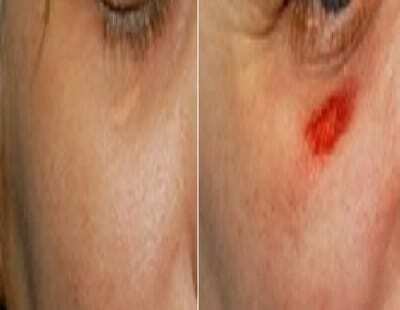 This two laser vaporize the lesion until its disappearance and can not be achieved on tanned skin. The day of the act it is necessary to come without makeup. The prior application of anesthetic cream is necessary. Local anesthesia will be performed depending on the case. Intraocular shells will be placed to protect the eyes. The laser removes layer by layer the skin and the fat that constitutes xanthelasma, up to the muscle. It needs only one session. You should apply the prescribed healing cream every morning and evening. Healing takes 10-15 days. 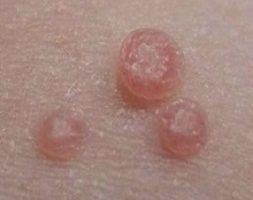 A scab will form during the healing phase, and it will disappear in 1-2 days. The pink scar will disappear in a few months. Complications are rare but can include: hypo or hyperpigmentation of the treated area; infection; and delayed healing. The principle is to explode the fat particles. I do not like this technique because often it causes bruises, it is risky and failures are common. It is necessary to realize 3-4 sessions. An anesthetic cream is applied one hour before and eye cups are placed to protect the eyes. 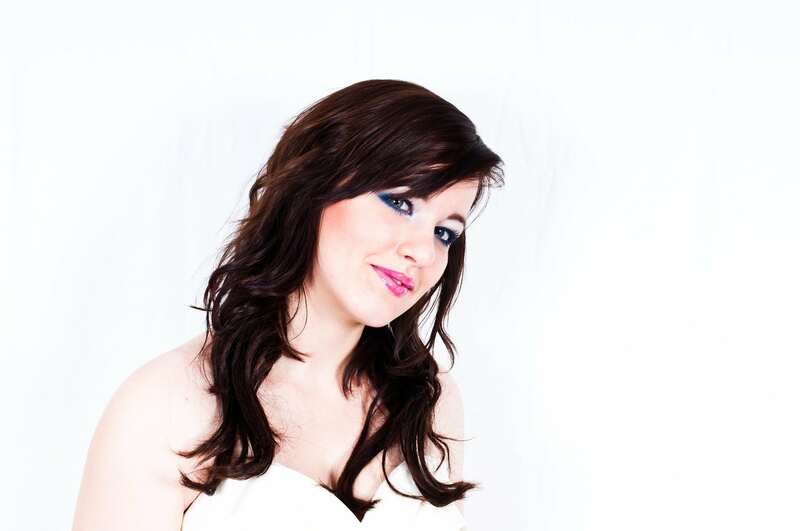 I had a wrinkled skin, ultherapy is the adapted solution to avoid resorting to surgery. Doctor Romano knew how to make me feel trustful and I thank her once again. 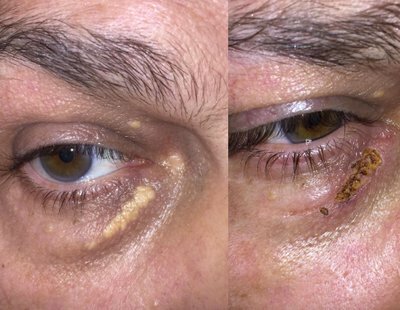 I had a xanthelasma on the eyelid close to the nose, I was recommended Doctor Romano and I am absolutely delighted, the result is spectacular. I had an apprehension about the pain, the doctor reassured me and in the end, everything went well. I’m satisfied of the result on a ball of fat (xanthelasma apparently) that I had on the eyelid. I had a xanthelasma on the edge of the eye, I took an appointment with Doctor Romano, she knew how to establish trust, I decided to take the step and I am enchanted with the result. Very pleasant doctor.